Corsair, a designer and supplier of high-performance components to the PC gaming hardware market, announced that they would be adding two new products to their Vengeance line up of gaming products. These products would include a brand new wireless headset and their first PC case in the award-winning Vengeance gaming line up. 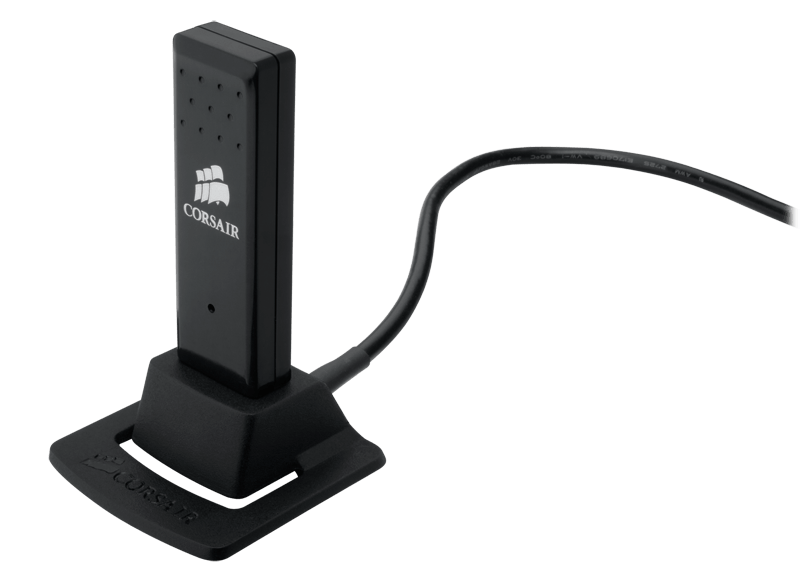 Corsairs new Vengeance 2000 wireless gaming headset provides high-quality 7.1 audio without the mess of wires while gaming. The battery provides up to 10 hours of battery life and has a range of up to 40 feet which ensures that you wont miss any of the action. Corsair's optimized HRTF positional audio technology uses accurate reproduction of multi channel 5.1/7.1 surround sound provides a competitive edge on finding your opponents. The headset has custiom 50mm drivers and careful acoustic tuning for audiophile-grade sound quality and superior bass response. The noise cancelling condenser microphone provides crisp audio to your team mates during a focused gaming session or simply talking to your friends or family over the internet. The custom form fitting microfibre covered memory foam earpads and padded headband provides hours of comfort by fitting comfortably around your head. The Vengeance C70 Gaming case has convenient built-in carry handles and a steel front panel for increased durability than a standard plastic one. 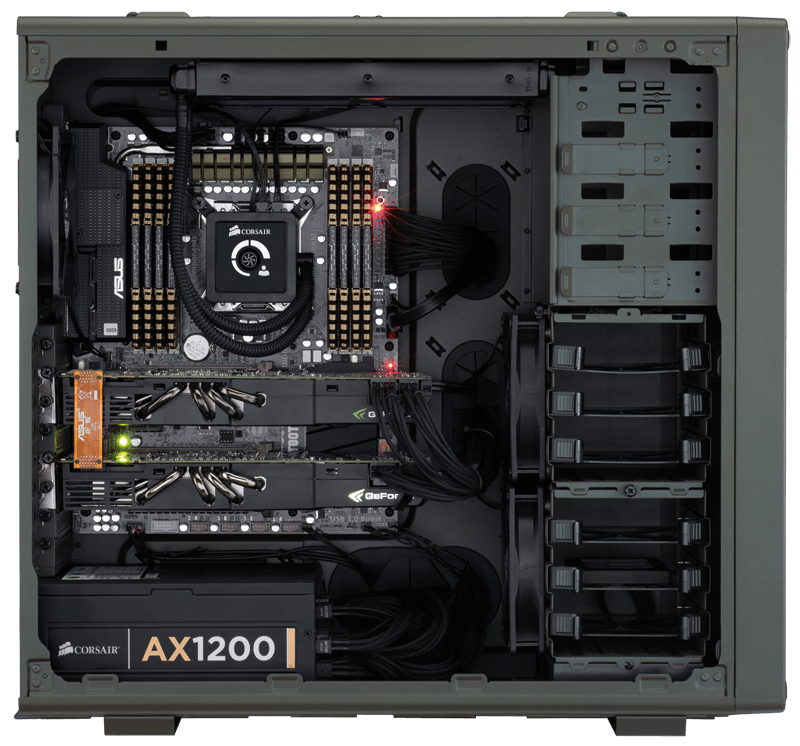 There are eight PCI-E expansion slots allowing a lot of freedom for multi-GPU setups, as well as front USB 3.0 ports on the front that connect via an internal header. There are also six SSD-ready hard drive(in two removable drive cages) enabled flexibility for cable management and airflow. 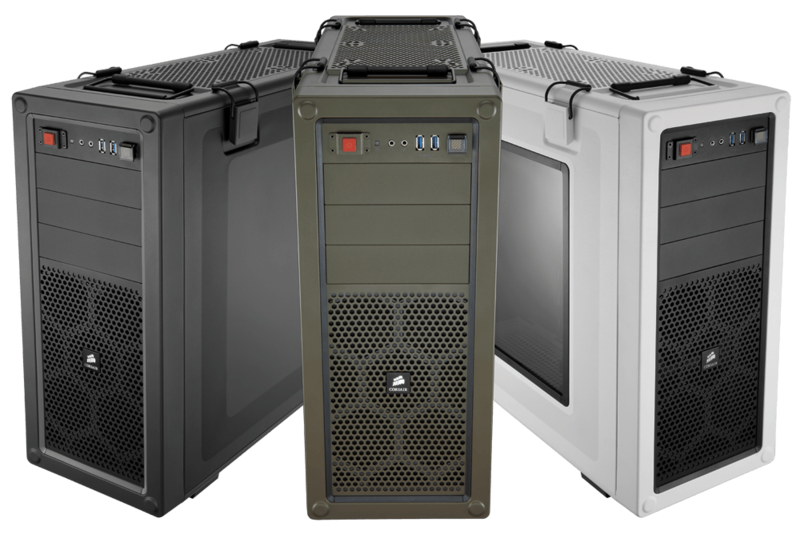 The C70 has up to 10 fan mounts allowing superior air cooling and it is also natively supports liquid cooling with any of the corsair liquid cooling solutions. The cases are available in three colours : Arctic White, Gunmetal Black, and Military Green.